Thank you Netgalley and publisher for a copy of the e-book for review! 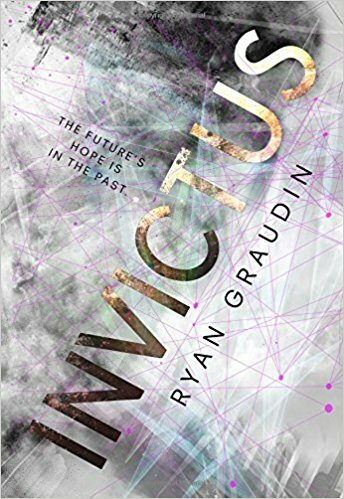 Ryan Graudin's latest novel falls somewhere between a time travel odyssey and sci-fi opera. There is a special corps of time travelers who can journey to different historical time periods in order to record history accurately. A lot of this book takes place jumping around from time to time in a time traveling spaceship(?) called Invictus. Our heroes are a ragtag band of friends who jump through time to different historical events and places to heist priceless antiquities. For example, the Titanic. There is a red panda. Farway Gaius McCarthy wants one thing, to live the most exciting life he can. Called Far by his friends, he is the son of a historical recorder and a gladiator, born aboard the time traveling ship between time periods in history. Determined to become a recorder like his mother, Empra McCarthy, Far attends the Academy hoping to live up to his famous mother's name. But when his final simulation glitches and he fails spectacularly he finds himself thrown out of the Academy with no job or prospect of working for the corps in sight. Hired by a black market antiquities dealer, he finds himself the captain of Invictus, a time traveling ship, hopping back and forth through time stealing historical artifacts. His crew is made up of his cousin, Imogen - perky historian with a penchant for multicolored hair, Gram - the math whiz and shy friend of outgoing Far, and Priya - the medic who loves music and is Far's girlfriend. Saffron, the red panda accompanies them on their trips. Together they are a cohesive unit marauding through time and space nicking priceless antiquities wherever they go. But when a routine heist aboard the Titanic goes awry they find themselves in the company of a mysterious girl, Eliot, whose origin and motives are unclear. Soon they're on a mad dash mission to save their world and multiple universes from something more ominous than they could imagine. This book is well written, the dialogue is clever and there are parts that are actually really funny. Graudin absolutely gets kudos in the creativity department - the world building and time travel mechanics are well thought out, well described pieces of the story. Fans of worlds in which time travel and alternate realities are possible should love this. Overall, an enjoyable tale of teens marauding through time and space.